Cloudy. Periods of rain early. Low 44F. Winds NNW at 15 to 25 mph. Chance of rain 100%. Rainfall near a half an inch..
Cloudy. Periods of rain early. Low 44F. Winds NNW at 15 to 25 mph. Chance of rain 100%. Rainfall near a half an inch. 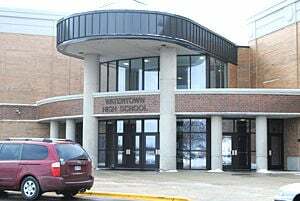 Next Gen Personal Finance named Watertown High School among 887 Gold Standard Schools. Gold Standard is the highest rank given to schools in NGPF's Got Finance? School Search Tool, which distills data from over 11,000 course catalogues to rank high schools for their access to personal finance courses. "With some of life's biggest financial decisions looming -- first jobs and cars, college selection, financial aid applications -- high school is when students need a comprehensive personal finance education," Tim Ranzetta, NGPF co-founder said. "Requiring at least a semester course is the only airtight way to guarantee access for all. We're thrilled to recognize these 887 Gold Standard schools for doing just that." "The inspiring stories coming out of these trailblazing schools," Ranzetta said, "are also why we're hungry to announce NGPF's bold new goal: by 2030, 100 percent of U.S. high schoolers will have guaranteed access to at least a semester of personal finance instruction before graduation."